The Rams upset the Seahawks in their Week 1 season-opening match-up in St. Louis on Sunday. It was a very exciting game that took overtime to decide the final outcome. After the game, a lot of people — including the Rams’ own official Twitter account — poked fun at Russell Wilson, who sent out this ill-advised tweet prior to the game. It looks like Wilson was predicting a victory for the ‘Hawks in their opening game, but it was actually Wilson repeating Seattle’s mantra as a team this season: Go 1-0 every week. Rams linebacker Akeem Ayers decided to fire back at Wilson following his team’s big win, on Twitter after the game. It doesn’t pay to be misinformed Akeem Ayers was on the Patriots last season who beat the Seattle Seahawks in the superbowl. 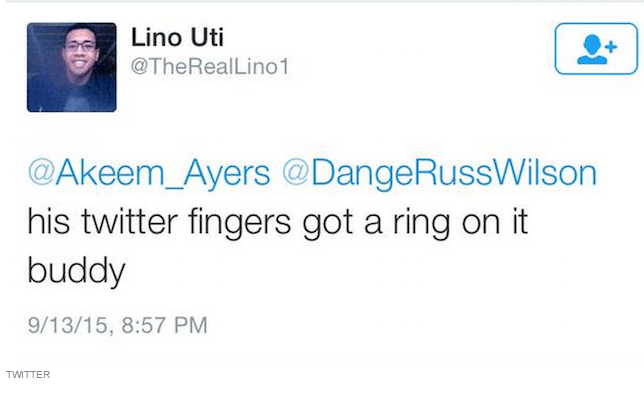 so Ayers does in fact have a ring as well. Against the QB the fan decided to stand up for. 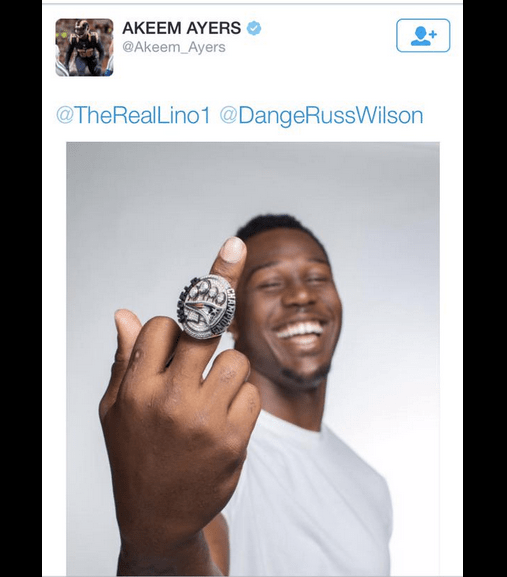 So what do you do when you want to respond…..Akeem Ayers did it in a hilarious way.